Commonly known as the Harlequin Flower or Wand Flower. 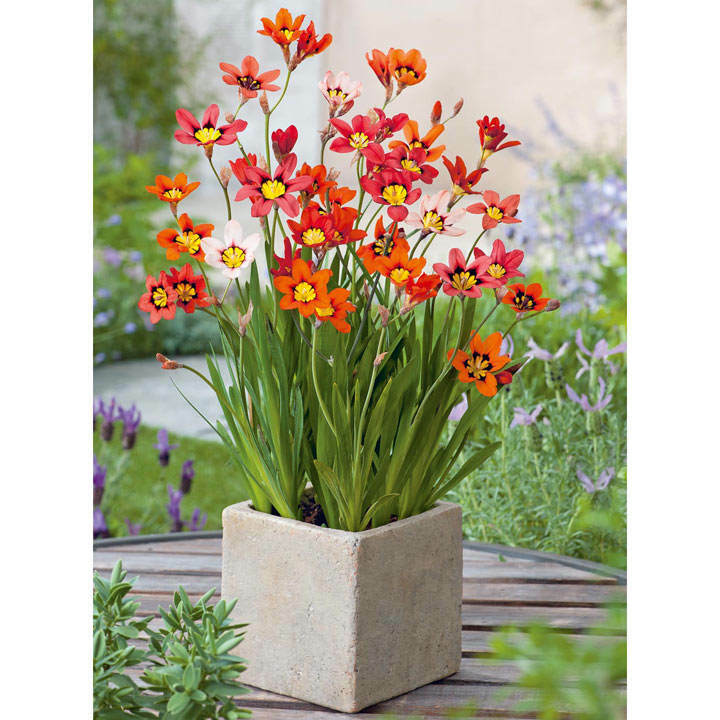 The richly coloured, unusually marked blooms of this delightful mix are held on sturdy stems. 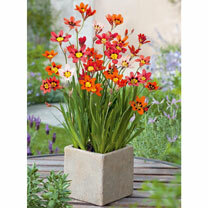 Perfect for pots or secluded spots in a sunny area. Flowers July-September. Height 20-30cm (8-12"). 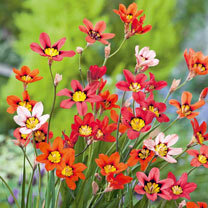 HHP - Half hardy perennial.